It can be a very difficult process to contend with the aging of our parents, our pillars, our mentors. It’s heart breaking to see the people who once cared for us, nurtured us, supported us and made us feel safe become fragile and vulnerable. This process is even more complicated if these individuals let us down when we needed them. In these cases our caretaking efforts are based on obligation or altruism rather than affection. In either case, as the family member becomes increasingly incapacitated more of the family’s time and emotional resources will be drained. In some cases the family member will stay at home during their last days. 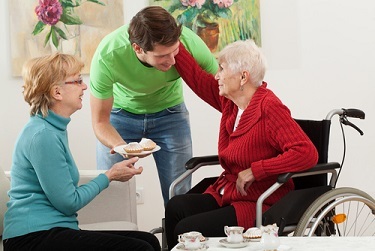 In other cases, medical infirmity or extreme problematic behavior as is the case with some individuals subject to Alzheimer’s disorder, will necessitate the individual moving to a setting where more highly specialized care is provided. The provision of care and effecting the placement of an family member can be equally challenging and draining processes. It is common during this time for a family to utilize the services of a family counselor who is experienced in this area. Family members may benefit from processing their feelings about the aging family member, grieving for times past and the times that will never occur. Some families will benefit from being guided through an exploration and decision making process. For more information or to schedule an appointment please contact us.